Star Wars Celebration may have predominantly focused on the Star Wars media releasing in 2019, with Episode IX, The Mandalorian, The Clone Wars Season 7 and the Jedi: Fallen Order video game the four most noteworthy panels of the weekend, but that hasn't stopped fans from looking even further into the future. Between a rumoured Obi-Wan series set to air on Disney+, to Rian Johnson's planned Star Wars trilogy, Lucasfilm appear to have mapped out the franchise's future for years to come. Undoubtedly the most anticipated of all these future projects, however, is David Benioff and D. B. Weiss' untitled Star Wars trilogy. 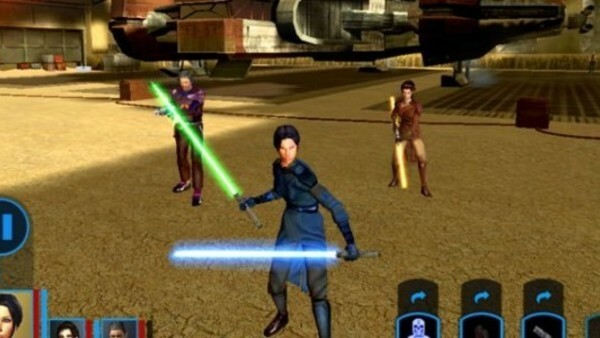 It's been heavily rumoured for sometime that the Game of Thrones showrunners' project would be set in The Old Republic, a timeline popularised by two LucasArts video games from the early 2000s, but that remains unconfirmed as of now. Even so, talk of Benioff and Weiss' project being almost like "Star Wars meets Lord of the Rings" has been enough to get fans rather excited, so much so that MTV's Joshua Horowitz asked Lucasfilm president Kathleen Kennedy if an Old Republic project is in the works. Now obviously Kennedy's comments don't confirm that Benioff and Weiss are definitely working on something related to the Old Republic, but it is our first confirmation from Lucasfilm that the era is being talked about. Also interesting to note is that several recent Star Wars offerings - Rebels, Clone Wars and The Mandalorian - have all had a heavy focus on Mandalore, a planet that was once a dominant influence in the galaxy thousands of years prior to the beginning of the Clone Wars. 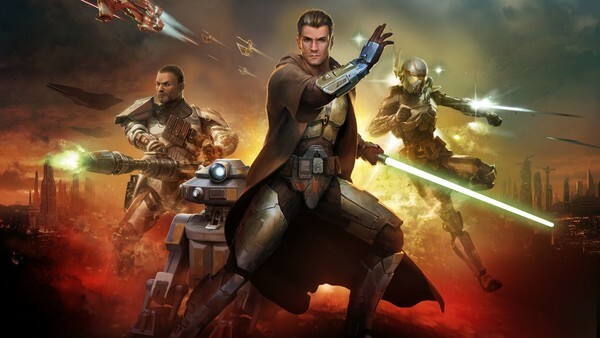 Could it be possible that these projects plant the seeds for an Old Republic project? Perhaps. Either way, Kennedy's comments are sure to be welcomed with open arms from Star Wars fans, who've been after something related to KOTOR ever since the first game released in 2003.